The Seidenberg School is to receive a grant from the National Science Foundation (NSF) totaling two and a half million dollars. The grant is in support of the project “A Multiple Pathway Approach to CyberCorps – Renewal,” which is directed by Dr. Li-Chiou Chen, Dr. Joseph Ryan (the Dyson School), Dr. Darren Hayes, and Prof. Andreea Cotoranu. This project extends the CyberCorps: Scholarship for Service (SFS) program at Pace University. The Pace CyberCorps program received about $1 million from the NSF between 2010 and 2015, and the new NSF award will bring an additional $2.5 million to advance Pace’s program over the next five years between 2015 and 2020. The Seidenberg School has been awarded the grant in order to support 3-4 cybersecurity scholars every year, assist student research in cybersecurity, and direct several outreach programs – including running the GenCyber cybersecurity teachers’ workshop which concluded recently. The grant will support eligible cybersecurity scholars who are current Pace students, transfer students from community colleges, and new graduate students from other universities. All scholars are required to fulfill core curriculum requirements in both cybersecurity and mathematics, as well as interdisciplinary curriculum requirements in either criminal justice, business administration, or another discipline. The scholars will also be expected to complete research projects and professional development activities. The interdisciplinary academic preparation will allow the graduates to conduct cybersecurity tasks in a specialty area such as information assurance compliance and auditing, network security administration, digital forensics, etc. Cybersecurity is one of our key initiatives, and we want to encourage students to learn about this field as it’s not only crucial for securing our digital information over the Internet, but it’s an ever-growing area where employment opportunities abound. The National Science Foundation grant will allow Seidenberg and Pace University to continue its efforts as a center for cybersecurity research and education. We’d like to congratulate Dr. Chen, Dr. Ryan, Dr. Hayes, and Prof. Cotoranu on this fantastic achievement! We would like to take a moment to pay tribute to John Molluzzo, who sadly passed away on July 18, 2015. John was a big part of the Seidenberg School community, and was considered a colleague, friend, and mentor by both students and faculty. After achieving his PhD in Mathematics in 1972 from Yeshiva University, John progressed into computing and joined Pace in 1985, quickly becoming a solid part of our team. His passion and talent for technology came through in his classes, and he taught many introductory classes as well as advanced ones. It is hard to say in words what we have lost with the passing of John Molluzzo. John was a trusted colleague and friend to all in the Seidenberg community. As chair of the IT department in NY from 1994 to 2013 he served as a helpful and supportive mentor. He was a dedicated teacher who worked continuously to update his courses. His leadership and counsel were often sought by colleagues facing a thorny problem. His colleagues will miss his quiet leadership and good natured presence. His students will miss a dedicated and caring teacher. John was a great colleague, scholar, and teacher. He was always gentle, humble, and thoughtful. He has been my mentor since I joined Pace University 16 years ago, and my whole career at Pace as teacher was deeply influenced by him. I always felt blessed to have a colleague like him. Now I am deeply saddened. The loss is simply too big to take. John, my mentor and my colleague, you will be truly missed and will not be forgotten. My deepest condolences to Maria, Charles, and John and their families. What can I say about John? He and I were hired around the same time, in late 1984/early 1985. I started in January, 1985 and I believe that John started that fall. 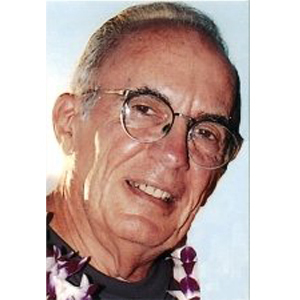 He was a “rock” – reliable, logical, strong. He was the person I went to for advice. He was a master teacher; I’m sure that every student who ever had him for a class remembered him, regardless of how long ago the class was. He liked really bad horror movies-I remember being surprised to learn that he knew Plan 9 From Outer Space, a “grade B” horror film that in my house we joke about. He knew the movie, the plot, and all other types of trivia. He was a civil war buff. He knew the lyrics to obscure ’50’s rock and roll songs. And he was also a superb mathematician at heart who became a computer professional. I will miss him, his presence, his perspective and his counsel. I can’t really believe that he’s gone. Our most heartfelt condolences go to John’s family. Recently, Thomas Gentile was presented with the Leadership and Service in Technology (LST) award here at Pace University. The award aims to recognize those who have made outstanding achievements in technology by demonstrating their commitment to development, innovation, research, and application within the field. On receiving his award, Mr. Gentile gave a presentation during which he discussed the crucial need for technology professionals, particularly in the field of cybersecurity. 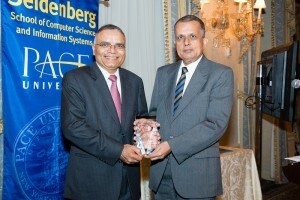 “It is an honor for me to accept the Leadership in Service Award from Pace University. 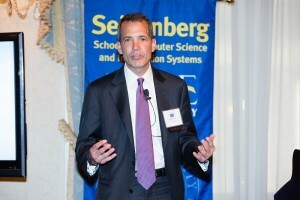 And GE Capital is proud to partner with Seidenberg School of Computer Science and Information Systems on the important initiative of improving the access of young women to STEMC academic studies and careers. 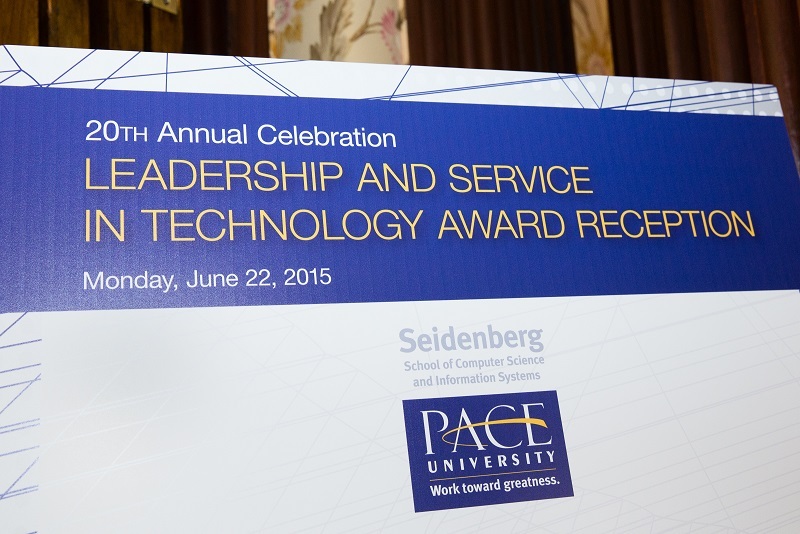 This year’s Seidenberg School’s Leadership and Service in Technology Award Reception honored not one but two distinguished individuals in the field of technology. On June 22, 2015, Seidenberg School Dean Dr. Amar Gupta gave awards to President and COO at GE Capital, Thomas Gentile, and President of Tata Consultancy Services Limited, Surya Kant. The Leadership and Service in Technology (LST) award aims to recognize those who have made outstanding achievements in technology by demonstrating their commitment to development, innovation, research, and application within the field. 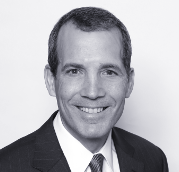 As a GE executive, Mr. Gentile has experience across a variety of disciplines and has been extremely successful in healthcare and finance. During the reception, he gave a presentation during which he spoke about the importance of science, technology, engineering, math, and computing skills (STEMC) in today’s world. He explained that around 20% of jobs today require some knowledge of STEMC disciplines, and that the number of jobs with this requirement is expected to grow by over 9 million in the next ten years – and that’s just in the USA! Mr. Gentile also spoke about GE’s involvement with the STEMC community, particularly in its development. The GE Foundation, which is the philanthropic organization of GE, has invested over $250 million in k-12 education for STEMC initiatives. This includes projects across the nation, as well as around the world. 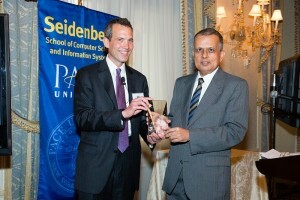 One such initiative includes the partnership with Pace University’s Seidenberg School of Computer Science and Information Systems. Together, GE and the Seidenberg School will be launching a new program that aims to promote STEMC studies and careers to high school girls. This will be done through a series of workshops, boot camps, and other opportunities that will allow high school girls to see the world of opportunities in STEMC studies and careers. Not all was optimistic, though. Mr. Gentile talked about the growing challenges related to cybersecurity in an increasingly connected world. However, he was confident that Pace and the Seidenberg School would take a big part in the fight against cybercrime with the creation of cybersecurity innovations and the production of highly skilled cybersecurity graduates. He said that he looks forward to working with Dean Gupta and others to develop new cybersecurity approaches that involve persons from government, industry, and academia. Surya Kant is the President of Tata Consultancy Services (TCS), the largest global information technology consulting and services company headquartered in India. Mr. Kant heads the company’s operations in North America, the United Kingdom, and Europe. His achievements in the global software industry, where he has made significant contributions, earned him the LST award this year. Specializing in software quality assurance and delivery center management, Mr. Kant is also involved in cybersecurity – which is where his and TCS’ partnership with the Seidenberg School comes into play. Not only does TCS share synergies with the Seidenberg School in cybersecurity, but global software development is a key initiative, too. 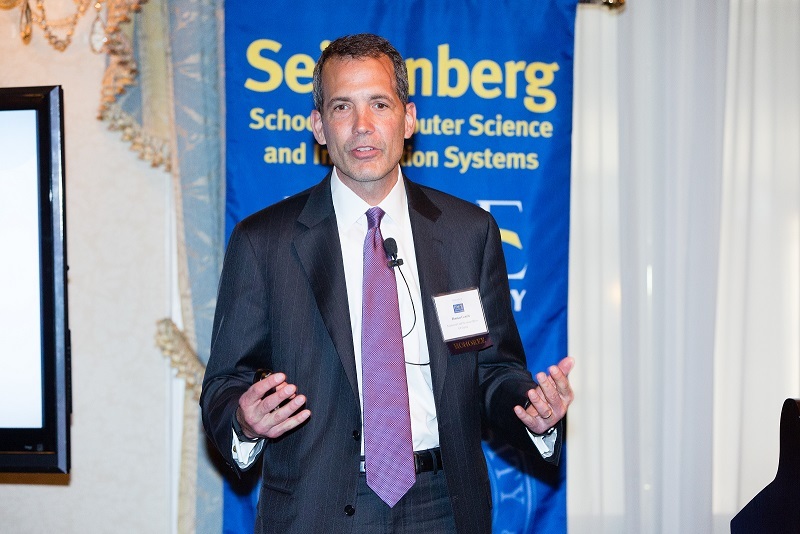 Collaborations between the Seidenberg School and the honorees and organizations extend to a multitude of areas: support for STEM, STEAM or STEMC outreach, research collaborations, corporate education programs, and student internships and hiring – Seidenberg students, take note! The Seidenberg School is honored to have hosted Mr. Gentile and Mr. Kant at the reception, as it is contributions from luminaries like them and their organizations that sustains the school and helps to prepare our students for rewarding careers in tech. Their involvement and inspiring stories helps us aim for success even more. 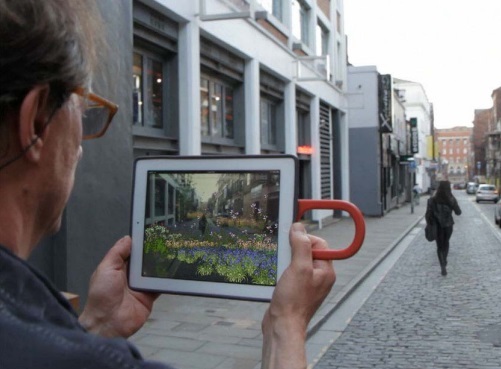 An innovative augmented reality app developed with the aid of Verizon Thinkfinity Grants and the creative talent of Seidenberg School students has been nominated for the Prix Ars Electronica 2014 prize in Interactive Art. The prize is a very prestigious award and one we are thrilled to be nominated for. Development for the app in question, titled “Biomer Skelters”, goes back to fall 2013 when Professor Will Pappenheimer and Dr Jonathan Hill invited three students to join an Augmented Reality Lab within the Seidenberg Creative Labs initiative. The students who took part were Julie Gauthier, Alexander Gazarov, and Paat Sinsuwan. The team’s goal was to explore and develop a way to transmit heart rate data from an exercise monitor to a mobile phone via Bluetooth. The data was to then be analyzed, and if the heart rate was in a median range, the phone would instruct the database to begin planting virtual vegetation, which could be seen if the area was viewed through a Google Maps API. 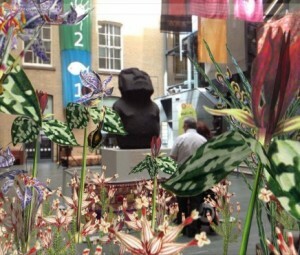 So as participants walk through a city, the app populates a given location with trees, plants and flowers. Depending on the heart rate, “native” or “invasive” plants would appear and the app can thus be used as a game, with participants competing to populate an area with different plants. Professor Pappenheimer and collaborator Tamiko Thiel are both known internationally for important artistic exploration of its possibilities and implications. The Prix Ars Electronica, part of an institution based in Linz, Austria is considered one of the world’s most prestigious new media and media art prizes. Only one project is chosen in each of six categories so the competition is very steep. We wish our students and faculty working with Seidenberg Creative Labs the very best of luck!